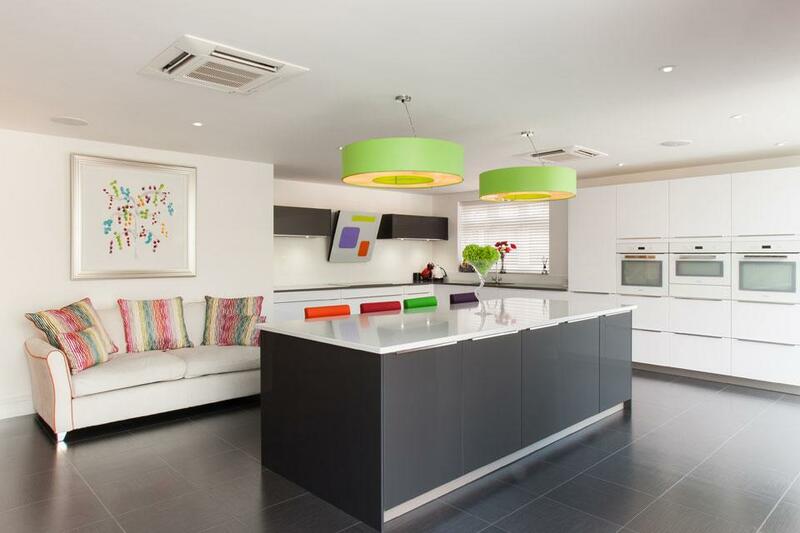 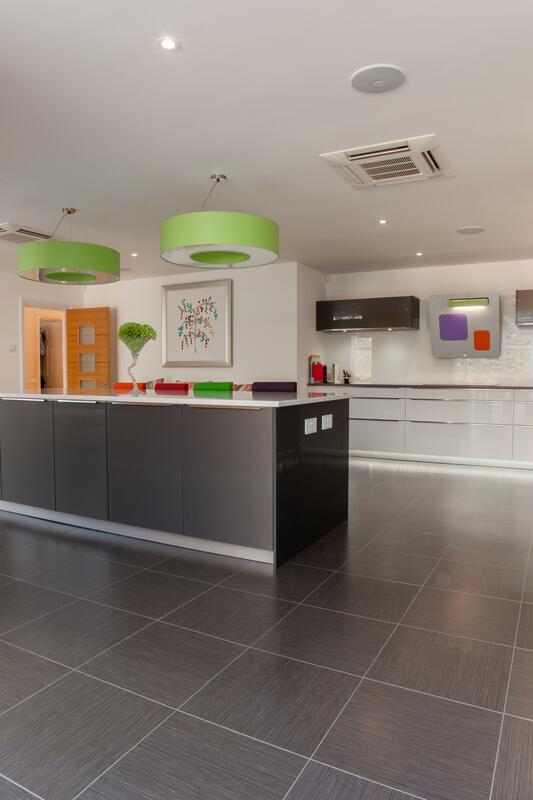 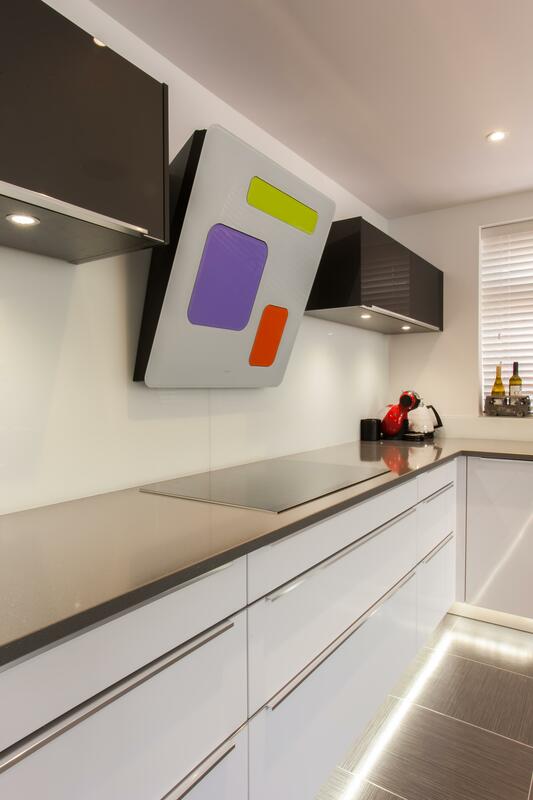 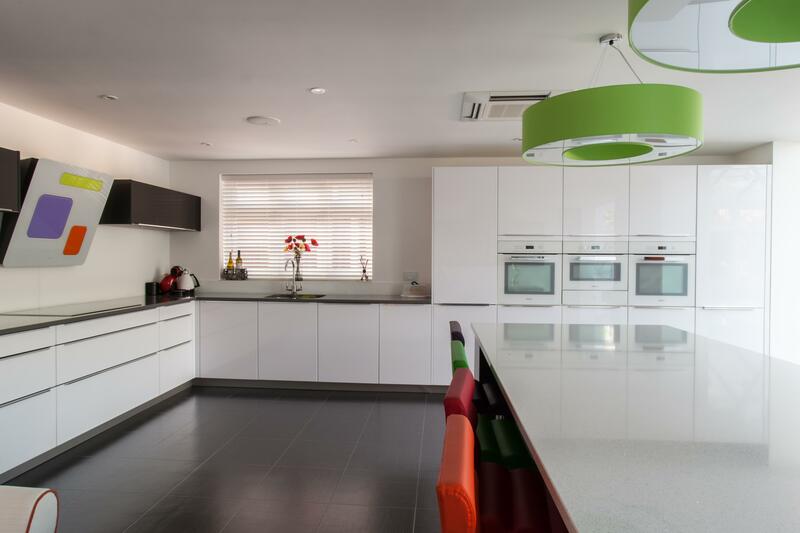 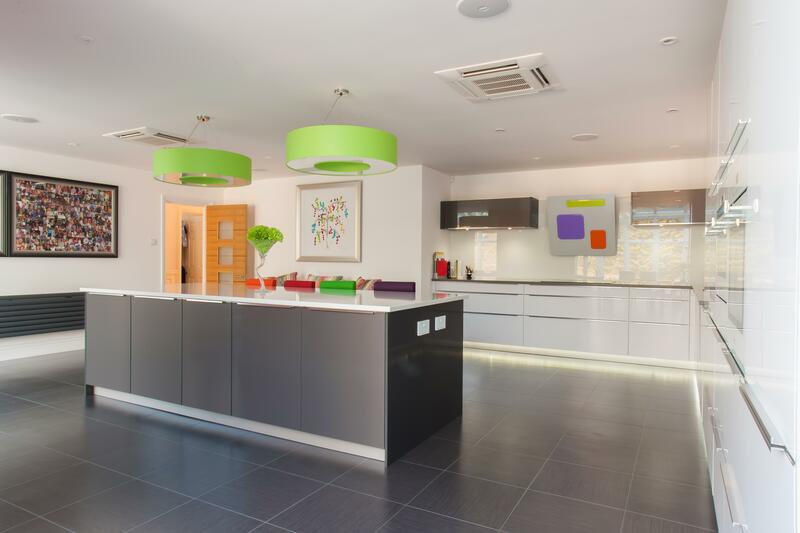 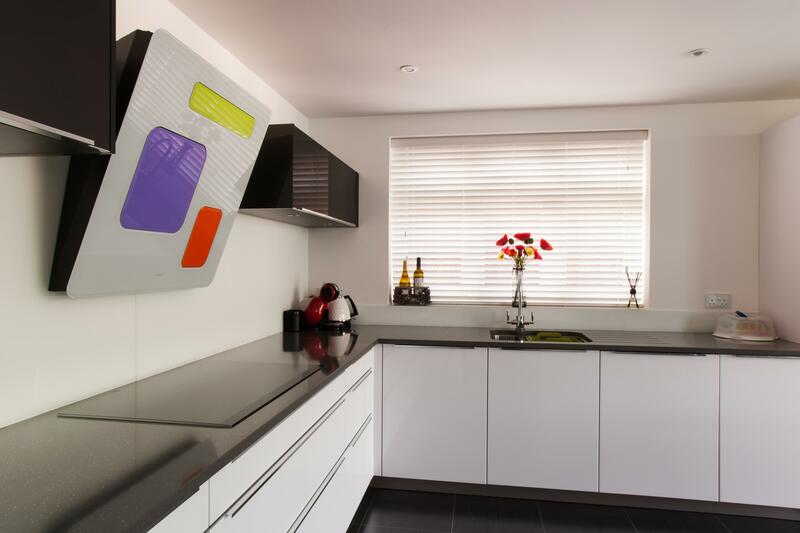 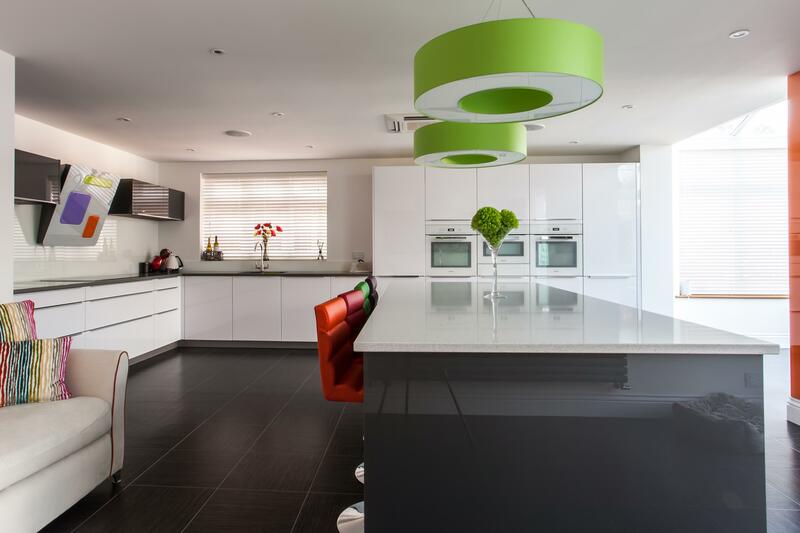 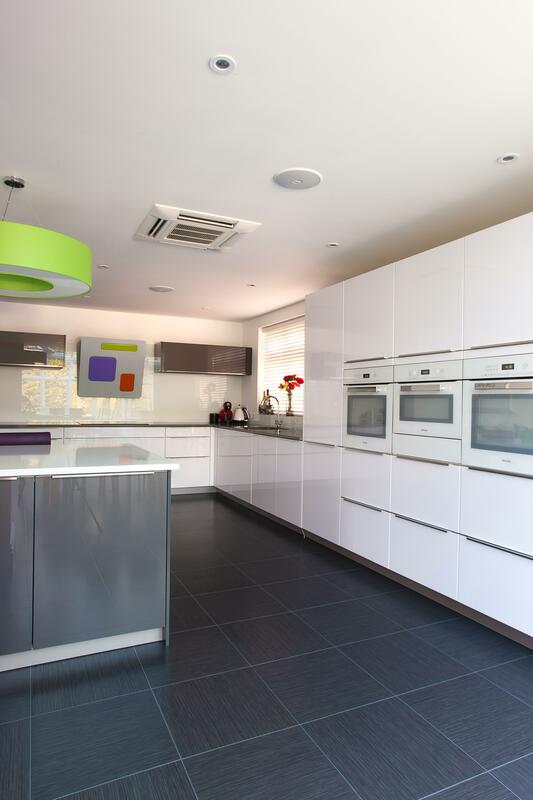 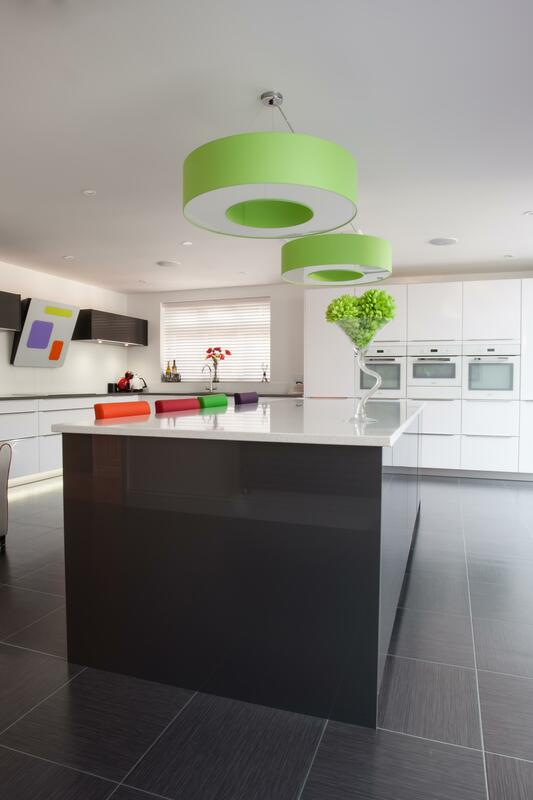 A white high gloss lacquer combines with gunmetal grey in this striking and colourful family kitchen. 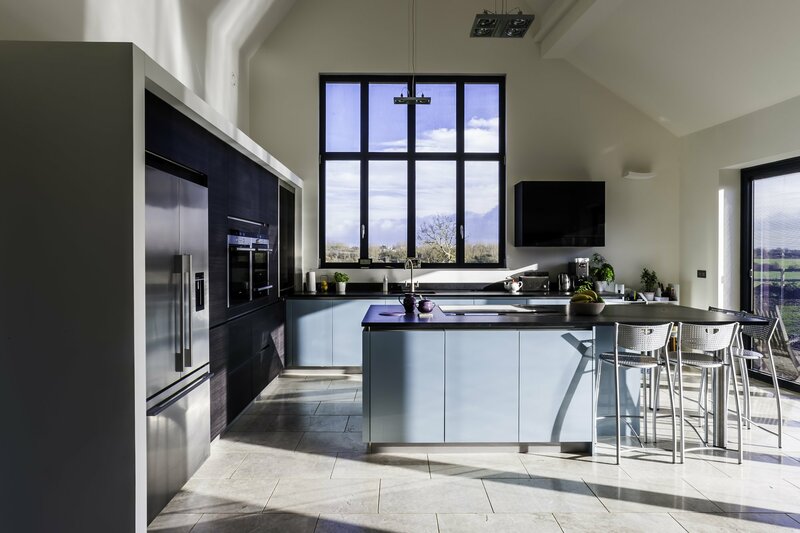 The mix of contrasting colours is mirrored in the worktop choice, a dark grey quartz is used on the white cabinetry and speckled white quartz on the island. 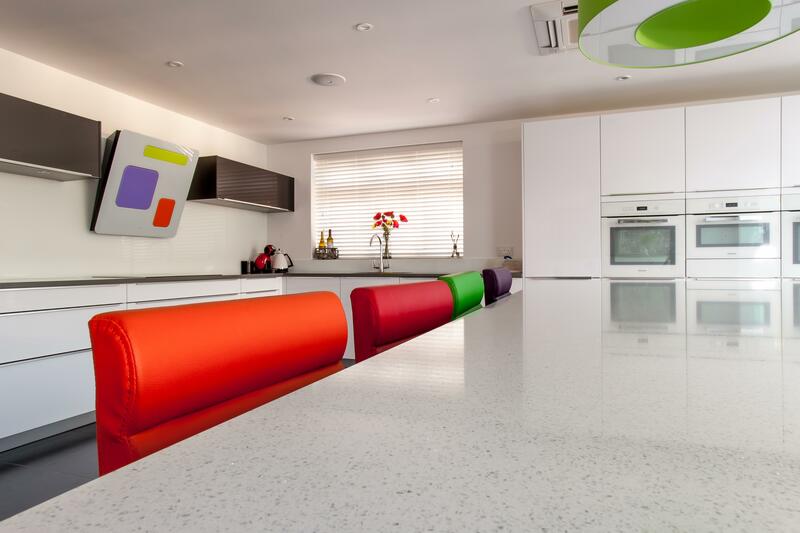 The choice of white Miele appliances blends seamlessly into the kitchen, as does the white glass extractor with pops of colour. 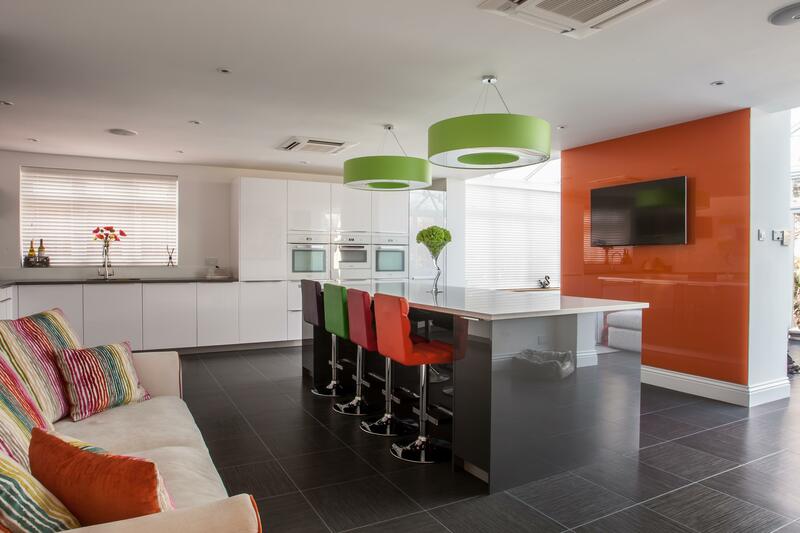 A statement wall of orange glass is the focal point of the room, with the client adding their own complimentary accessories.